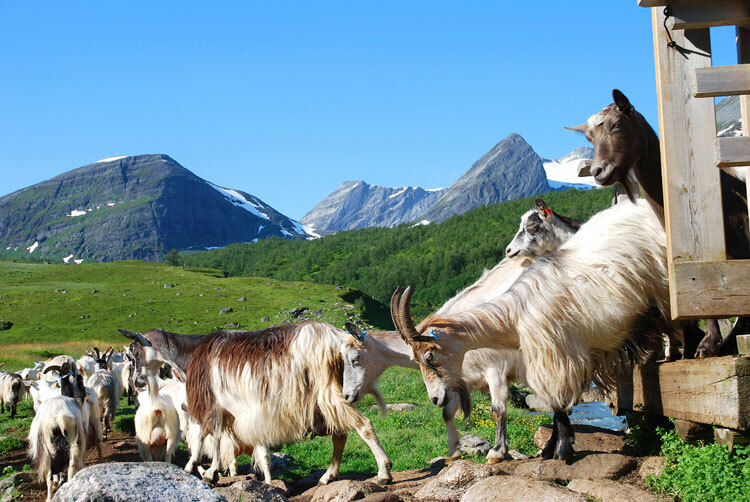 Summer pasture farming has been – and is – an integrated element of Norwegian agriculture, that is, first and foremost with regard to production of milk from cows and goats. Summer farming was regulated in the laws that were laid down in the 12th century. According to the Gulatingslova (old Norwegian law) if a farmer did not herd his cows and goats to the summer pasture, he could be reported for illegal grazing – «grass robbery». In olden times cows produced 2 /3 of their annual production in the summer farming period, and in a wintry country (like Norway) it was then vital to process this raw material into food that could be stored and used throughout the long winter. In the summer of 2002 there were 1078 independent summer farms in use. In addition, 839 farms herded their cows or goats to shared summer farms. These 1917 applied for a summer farming subsidy as outlined in the agricultural agreement. The regulations are such that certain summer farms cannot receive a subsidy, so the total figure is somewhat higher. 15-20,000 goats and 35 – 40,000 cows enjoy life on the summer farm, that is, they are milked at the summer farm. A far greater number of non-producing cows and other cattle – and several thousand sheep and lambs graze in the summer farm area. Summer farming is thus the spearhead in agriculture based on grazing livestock. Not only is it extremely important for the individual farm – but also decisive for the cultivated landscape and maintenance of biological diversity. Summer farming in Norway, as elsewhere in Europe, has diminished – but we are nonetheless a key element for this form of joint European operation. Around the year 1850 there were perhaps as many as 100,000 summer farms in active use, in 1939 around 27,000. 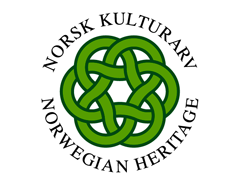 Norway’s summer farm culture is highly diversified: from south to north, from west to east, single summer farm units and shared summer farms, located in the highlands and the lowlands, isolated or with neighbouring farms/settlement, near or far …purely milking or also with processing, some don’t have roads leading to the farm. The uniqueness of the Norwegian summer farm is that we still find sustainable active summer farm environments in fjord and coastal districts, that is, not just in mountain districts. is expertise borne by hard manual labour. The summer farms also have long traditions in tourism and recreational pursuits. Knowledge can be accumulated in bookshelves and written in guide manuscripts. Expertise on the other hand, must be maintained through physical practice, authentic mediation requires physical performance. It easy to find examples of the significance that summer farms has in people’s consciousness: how summer farms have inspired artists, how books on summer farms and summer farm life actually have their own annual «book harvest», that modern outdoor recreation has its roots in the summer farm culture, yes, even the holiday cabins have long had the summer farm hut as its basis and ideal. It’s not difficult to see how active summer farming keeps the landscape and diversity in shape, and how quickly and dramatically circumstances change and disappear forever when this type of farming is terminated! The practice of summer farming is maintained by small and medium-large scaled dairy production, where livestock numbers average 15 cows. 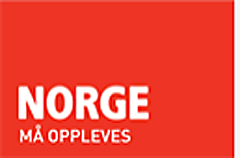 In the «densest» summer farm areas in Oppland County the average number of livestock is 12-13 cow, with an average quota of around 60 tonnes. Summer farming is dependent on securing sustainable conditions for these farms. Restructuring of dairy production – partially through large co-operatives would spell an end to summer farming. Shuffling of financial means/support from the average-sized farm to what we in Norway would call large-scale operations would lead to accelerated termination of summer farming – and thereby the loss of the traditional use of extensive areas of open land. It’s important to take care of this landscape formed from grazing animals mouth, craftmanship and muscle power. The tractor took over for a short while – but now it would appear that the domain of the tractor is also about to lose its dominance. We will be poor if the cultural landscape created by the car and simplicity is taking over! Small-scale processing – on the summer farms, it is «the art of ornamental wood carving», a skill originating from hard physical labour that has survived. The traditions are a «goldmine» that can be exploited, words such as exclusive and exotic are appropriate, extensive diversity through local and regional variants and different products, extraordinary basis for both production and mediation (of knowledge and expertise), – but, in which case we need the farms and those people that sustain this type of farming! – It’s hard to believe that milking robots would have any idea about herding of livestock, rendering and churning! Welcome to the mountains – welcome to our summer farms!